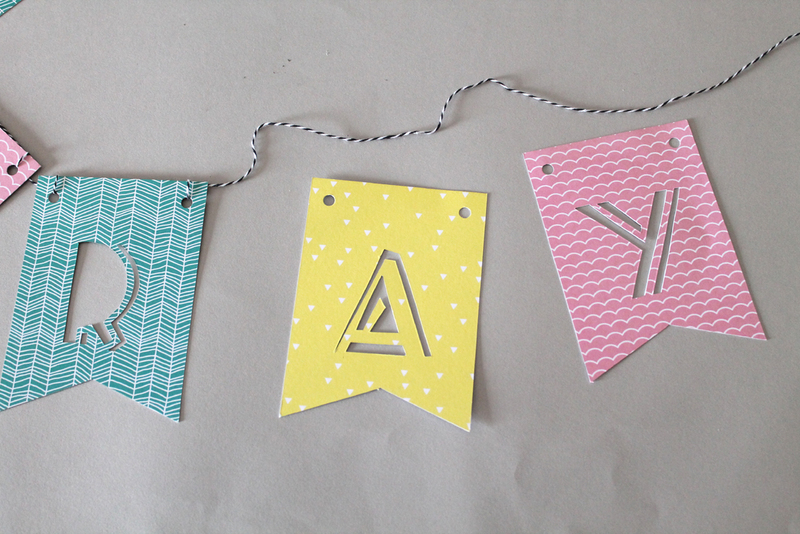 It's July and so that must mean there are lots of summer parties and fun times ahead right! The weather here in the UK seems to not be in the party spirit though and so we thought we would make it happen with paper, even if we do have to duck inside when the rain starts! 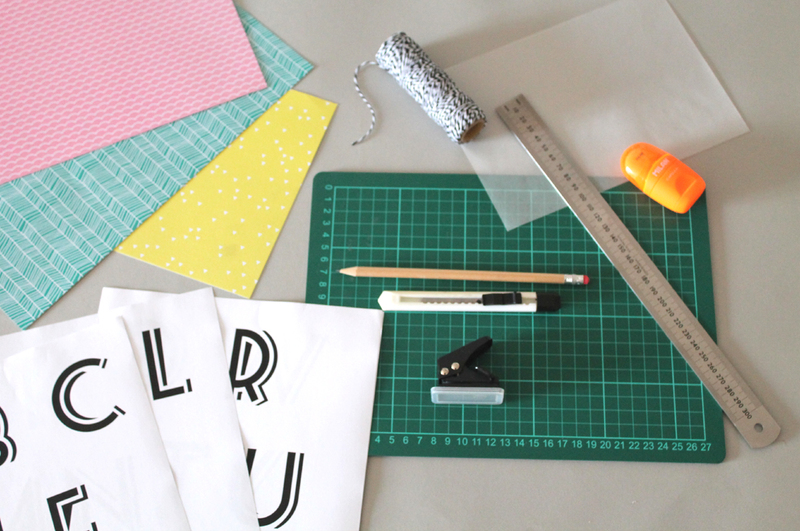 You may have seen from our Instagram that we will be doing two FREE Paper Phrase Banner workshops at this years Bust Craftacular on 21st August in London. But don't worry for those who won't be able to make it, we have a little tutorial for you guys too, so you don't miss out! But of course we would love to see you on the 21st August in York Hall, Bethnal Green, we have two times on the day of 12.30pm or 2.30pm start, so not to worry if you can't make one of them. You can book over on eventbrite here. 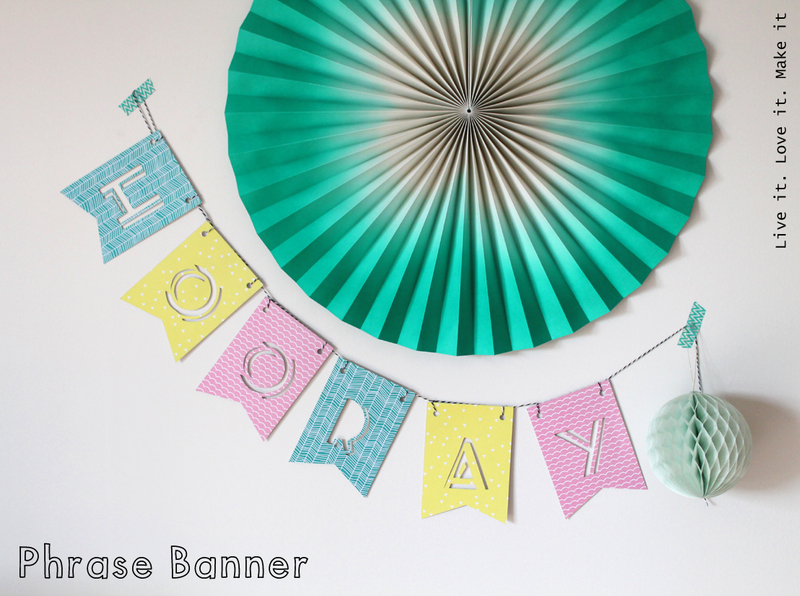 For the Phrase Banner you will need: Paper or different colours/patterns, printed alphabet or you can freehand your own, tracing paper, pencil, rubber, ruler, craft knife, cutting mat, hole punch and twine. First up you will need your alphabet, or if you are freestyling the letters, you can skip the first 3 pictures, go on, go right down to the part where you draw it on the paper. 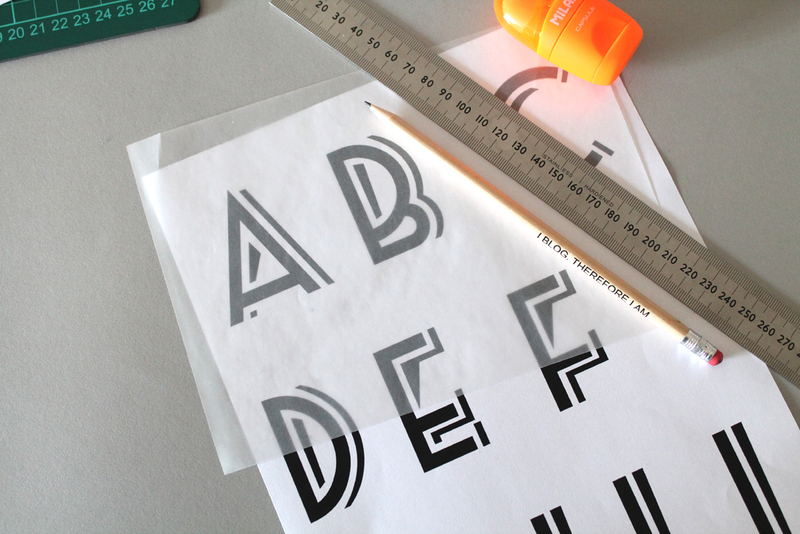 Once you have drawn the outline of your font letters onto your tracing paper, you have two options. You can trace onto the front of your paper, if so, do as the picture above and scribble over the back of your letter, this will mean that when you go to trace off, the pencil will show through. 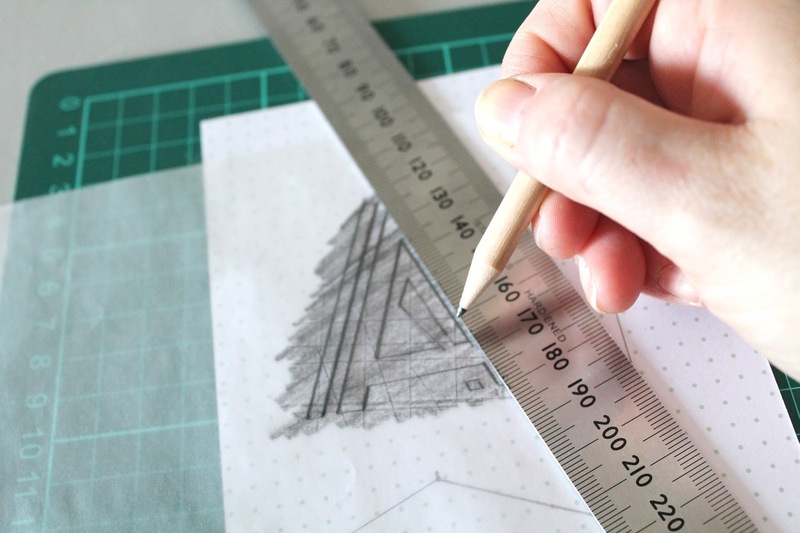 If you decide like me to draw on the underside of your paper, you don't need to scribble on the otherside, as you will retrace over the letter, making sure you reverse it, so that on the right side of the paper it is the right side around. 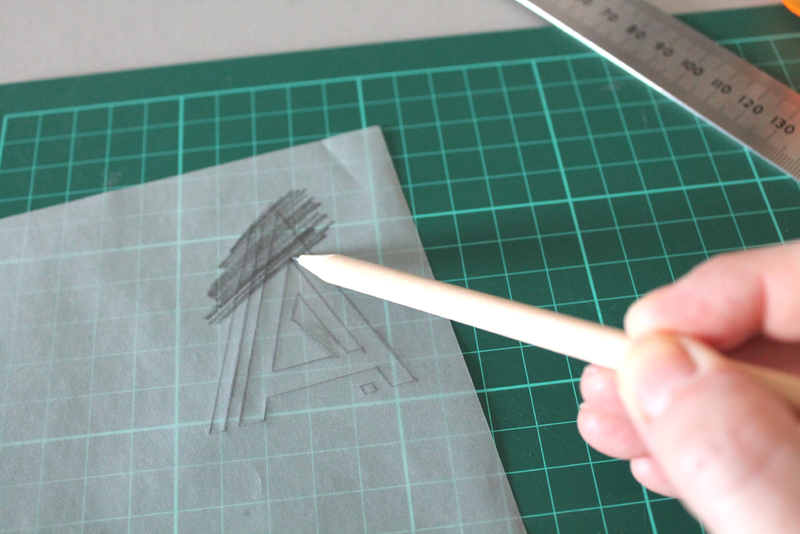 You can see here that the pencil has come through off the tracing paper and so you can see where you need to cut. I decided on my flag shapes previously, but you can choose a shape here so that you get a good border around your letter. 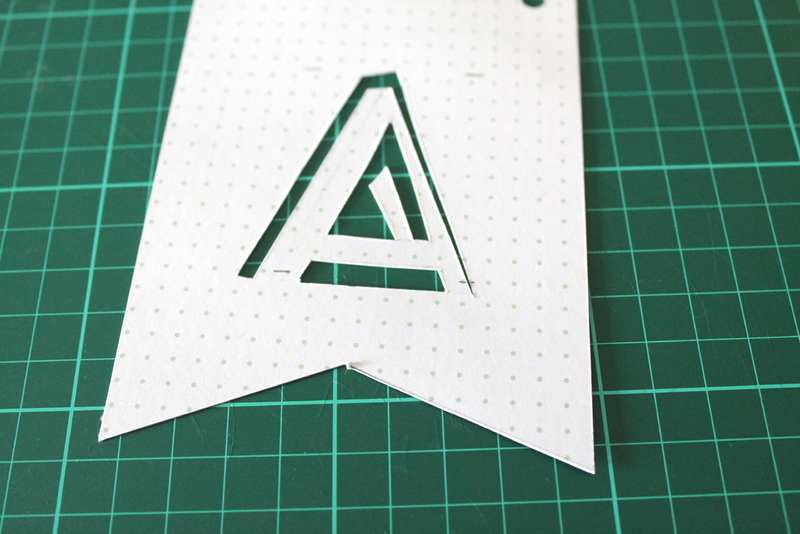 When you are cutting out the letters, there may be some that would just make a large hole rather than seeing the shape of the letter and so you will need to make sure there are some areas that keep linked to the outer paper. 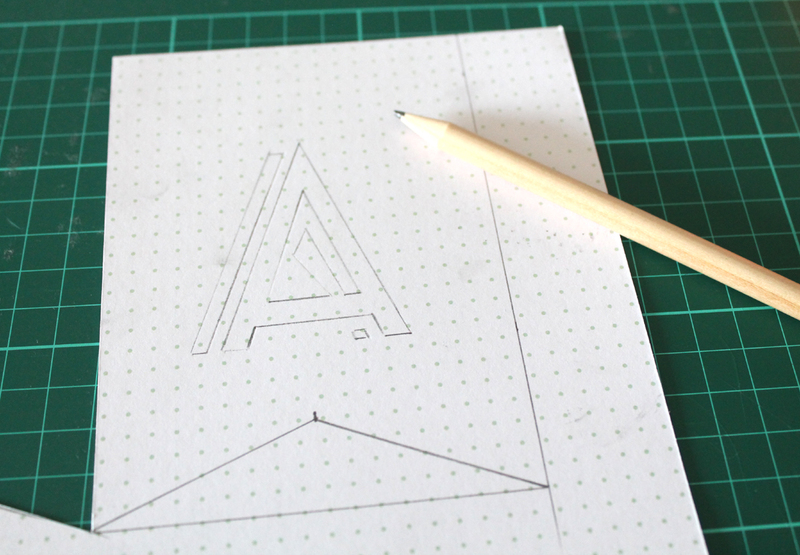 For the letter A, I cut out the bottom gap all together and cut around the top outline to make the A stand out. The O, will need an outline swirl made too, or you will just end up with a circle as a letter. 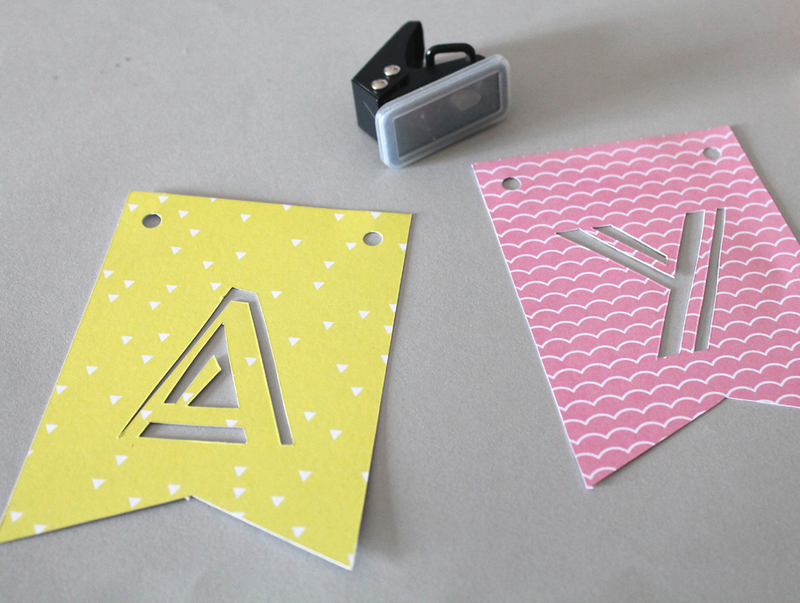 When you have cut out all your letters and the flags on different pattern paper, or you could keep it the same colour scheme, depending on where it is going. You can then punch holes in the top. I decided to keep my twine to the back of my letters, so that it was not as obvious when up on the wall. 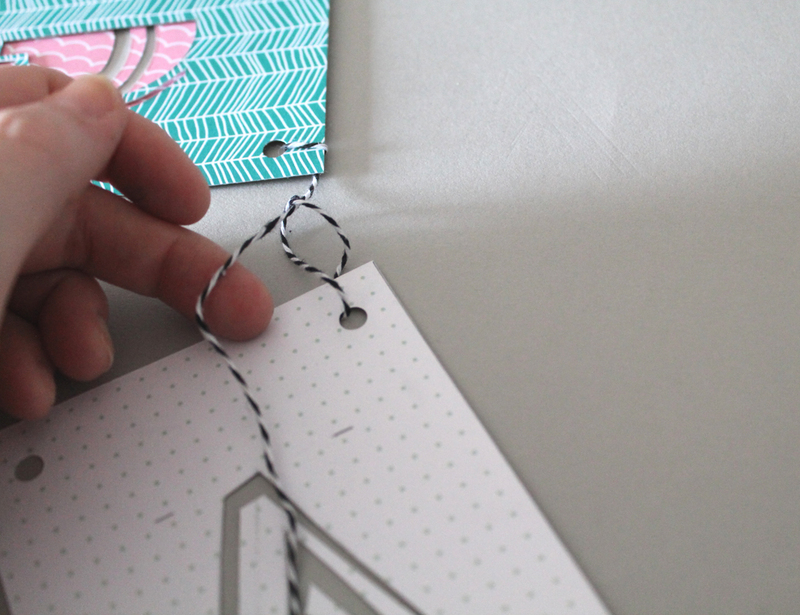 I just made a small knot on the back to keep them in place, so that when it is hanging, they all stay in place. Make sure to keep the gaps in between the letter flags all the same, as there is nothing worse than seeing uneven gaps, maybe just me! ha ha. Then you are finished and ready to put it up. 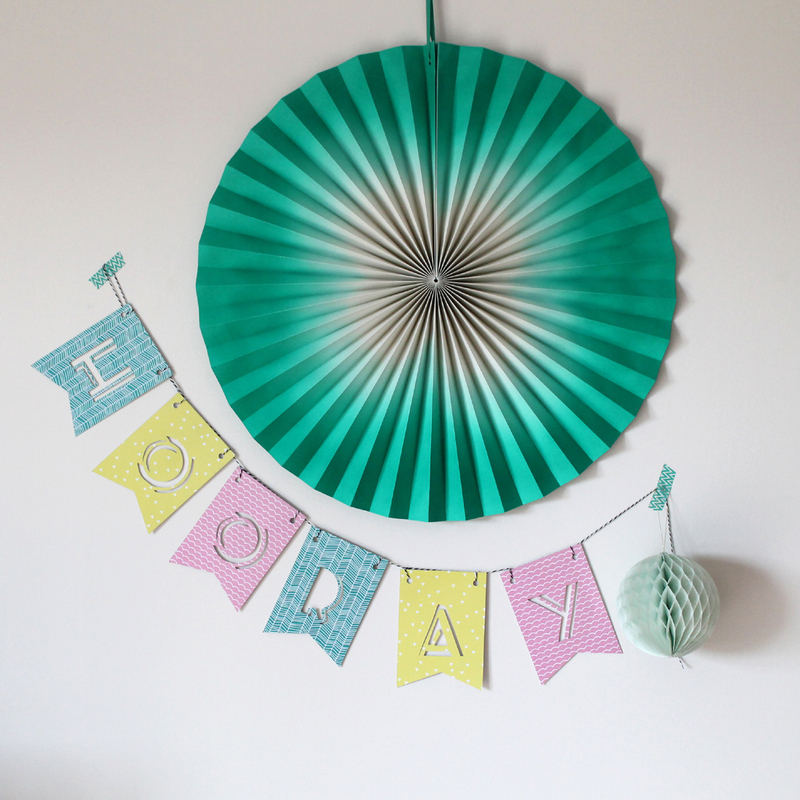 Depending on what your phrase is to where you put it, you could hang it outside on a party day, have one in a child's bedroom or maybe make one or two for your wedding. Of course we will give you much more one to one instruction if you could to our workshop in August, but we thought a little fun tutorial along the way would get us all out of this horrible weather funk! If you make one, don't forget to #livelovemake on Instagram or twitter so we can see what lovely patterns you choose and what fun celebration or just fun idea you come up with to use it for. What a lovely idea! Thank you for sharing the tutorial. My kids would really enjoy that.